Two sisters of Philippine President Benigno Aquino came to Hualien on Friday (June 8) to thank Master Cheng Yen in person for the 18 years of work by the Tzu Chi Foundation in their country. The country is frequently hit by natural disasters such as typhoons. In addition, poverty causes many disasters – it has 1.34 million illegal buildings, with one in every four in the capital Manila dangerous. This results in fires spreading quickly in slums with homes built of wood and other inflammable material, close to each other and without prevention equipment. The volunteers in the Philippines, both local and from abroad, have been very active in responding to these disasters; they provide immediate relief goods, work-for-relief programs and encourage recycling projects. Maria Elena Aquino Cruz and Aurora Corazon Aquino Abellada arrived in Taiwan on June 7, accompanied by four other guests from the Philippines and Li Wei-gao, the chief executive of the foundation in the country. They began their visit of thanks in Kaohsiung, where they saw the Shanlin Great Love Complex on the northern outskirts of the city; the foundation built the village for those who lost their homes to Typhoon Morakot in August 2009 and donated the homes to them free of charge. The complex contains two churches of different denominations. 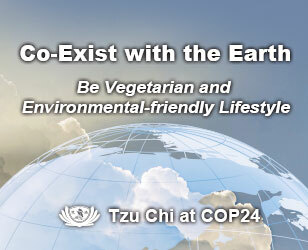 Maria Elena Aquino Cruz said that she was very moved to see how Tzu Chi people respected different religious faiths. On the morning of June 8, the guests visited Hualien, to see the foundation’s primary and secondary schools, kindergarten, Jing Si Hall and the Abode where Master Cheng Yen lives with her community of monastic nuns. At the kindergarten, Maria talked with the children and observed how they spoke quietly as they ate their lunch. She was full of praise, saying that this was something which adults should learn from. While visiting, volunteers explained the program of Silent Mentors, which people sign a pledge to donate their body to medical education after they pass away; these are used by students of Tzu Chi University's medical school to do simulated operations, which greatly assists them in their study of the human body. Maria said that she wished to sign the pledge; volunteers explained that it was very hard to do cross-border donations and asked her to encourage the practice when she went home. She promised to do this. The party went to the Abode, where the Dharma masters showed them around and explained its history and the simple life of spiritual cultivation of those who live there. Then the guests went to meet Master Cheng Yen, to express in person their thanks for all the good work that the foundation has done in their country over the last 18 years. 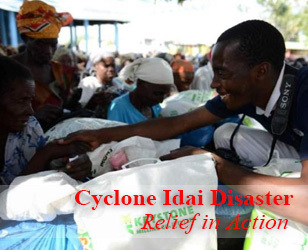 This has included medical clinics, education and distribution of relief goods to those hit by natural disasters. One notable example is the fearless work on the volunteers in Smokey Mountain, one of the world’s largest slums. It is a large rubbish dump in Manila, with over two million metrics tones of waste, which has operated for more than 40 years; these conditions frequently cause fires, which have killed many people. About 30,000 people live there, making a living from scavenging from the dump. In Manila, half of the over 11 million residents live in slums. Daniel Subido is a Filipino lawyer; he accompanied the two sisters of the president on his first visit to Taiwan. 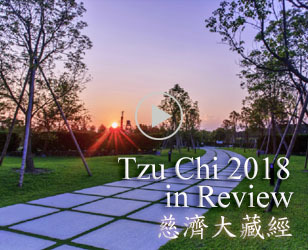 “During this visit, I have learnt many things of the humanist culture of Tzu Chi, which will be very useful for me when I return to the Philippines,” he said. Maria thanked Master Cheng Yen for all the work of the foundation in her country over many years, especially for the reconstruction work in recent years after typhoons in rebuilding communities, in a spirit of selfless love. She praised the Master as a great model for contemporary society, who moved people and was worthy of respect. In response, Master Cheng Yen said that recycling was very important and should be promoted all over the Philippines. She also said that everyone could become a volunteer and help to make a strong country. She gave her blessings to the visitors and said she hoped that, through their talks and exchange of opinion, they could gather the strength of love and help to make society more stable and harmonious.